If you have a special request with your order, leave comments on the SHIPPING METHOD block during the checkout process. If you need to make comments after an order is placed, leave a message by going to the ORDER HISTORY page and clicking the Details link on the order for which you need to comment. 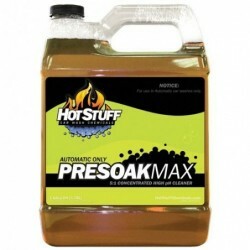 Presoak Max is our newest and strongest high-pH presoak for automatics. It doesn't contain all of the extra conditioners that are in our Presoak Plus, but what it does provide is raw alkaline cleaning power. 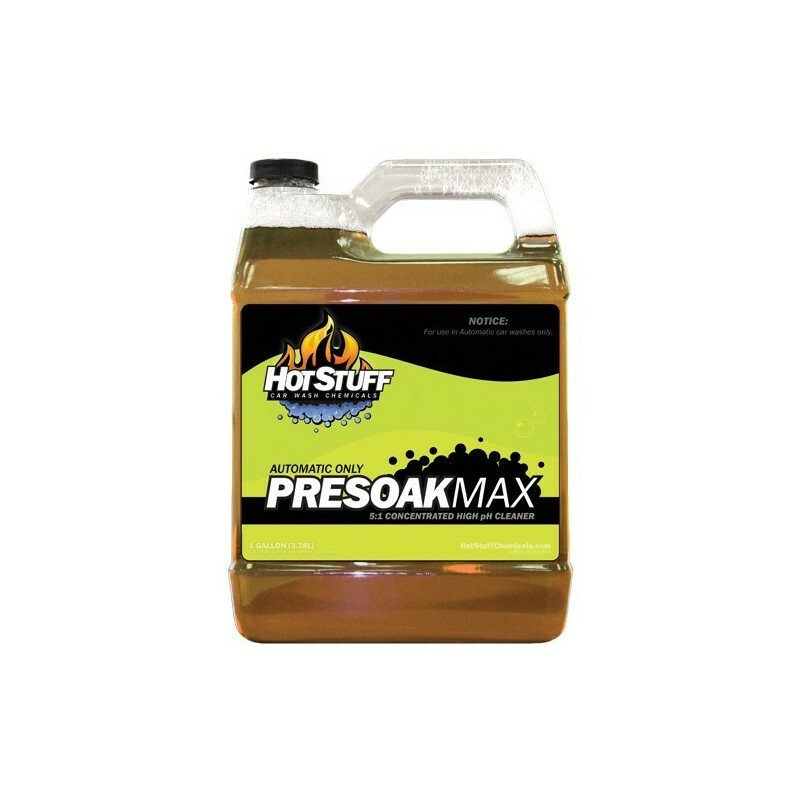 If you need the strongest alkaline presoak we offer, Presoak Max is for you. Plus there is a 4 ounce bottle of Foam Pop to add extra foam & cleaning power for each gallon of Max super-concentrate. Add our foam boosters if you want a thicker foam or our presentation boosters if you want color & scent. Both are available online. And if you do find need of extra conditioners for hard water or other issues, ask for information on our other booster packs. For use in automatic washes only. Not available to buy as a single gallon. Add our foam booster or presentation boosters (color / scent) if desired.